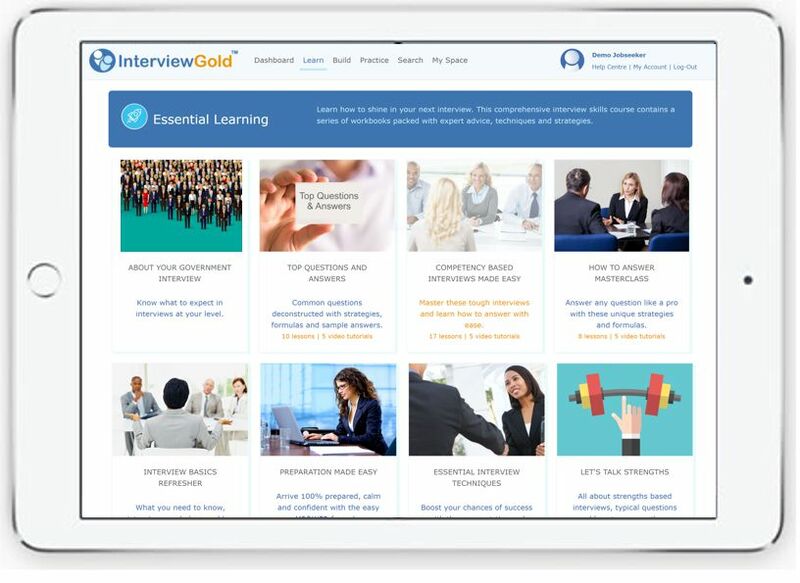 Competency based, behavioural and traditional interviews are a breeze with InterviewGold's easy online training. In fact, 97% of members felt more confident, better prepared and got the job. 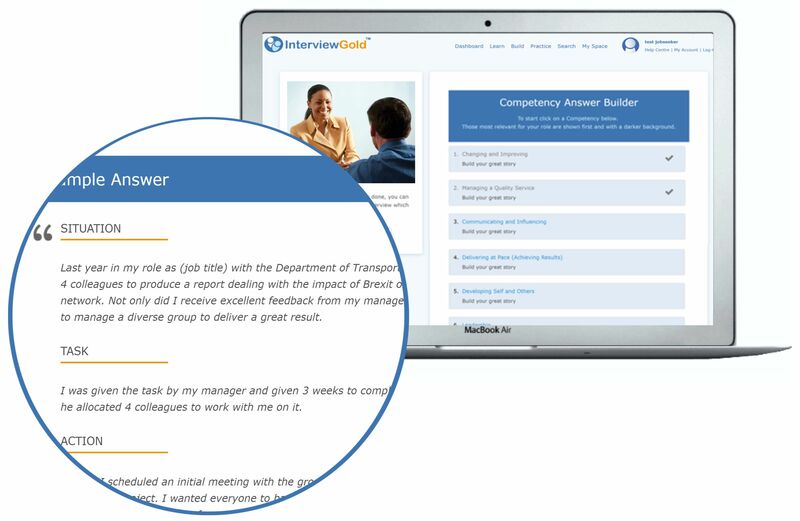 "Just one week after starting using InterviewGold I had two interviews and I got offered both jobs. Basically, I knew which questions were going to come up and I was well prepared to answer them." "Thank you. You have shown me where I was going wrong and your program is great. After so many failed interviews your advice and feedback made all the difference and I now finally have an offer!" 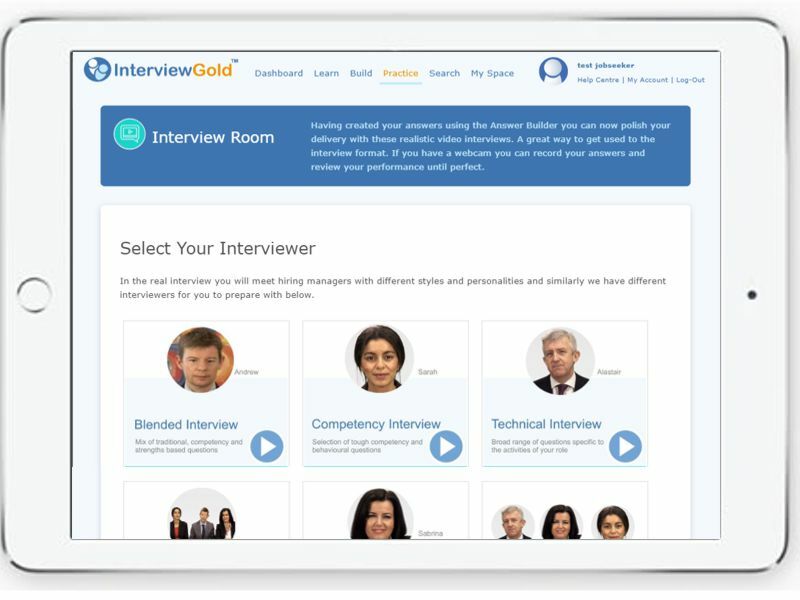 InterviewGold makes those difficult Competency Based Interviews really easy. You get detailed winning answers to inspire you, lessons on how to succeed and simple tools to help you create your own brilliant answers including the right positive behaviors, strengths and buzz words they look for. With InterviewGold you will know the questions they will ask and you will learn how to communicate confidently and successfully. Practice with realistic mock interviews with accurate interview questions for your job. Get expert sample answers telling you what to say and record your own brilliant answers with the powerful Answer Builder and Webcam recorder tool. Know what to do to win job offers. Developed by our team of professional interview coaches, you will easily learn powerful techniques and proven strategies that will boost your confidence and rapidly develop your skills. Breeze through any interview with 100% confidence including Competency, Blended and Strengths based. Whatever stage of the job search process you are at InterviewGold is proven to boost your chances. It will help you create brilliant written answers for your application form incorporating the correct behaviours and positive buzzwords. Make a great first and lasting impression and know just what to do before, during and after your interview to win job offers. Not only will you learn how to structure your competency based interview answers perfectly, you will also discover the correct keywords and positive behaviours to include. "I hadn't been to an interview for many, many years so when I was invited to a Competency Based Interview I had no idea what that was. I was in such a panic, but InterviewGold was a fantastic help." "With the help I got in preparing for a Competency Based Interview, I have got a job offer from the very first interview. I learned how to structure my answers and I knew what buzz words to use in my examples. 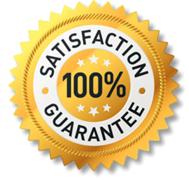 I am happy to let other potential users of your product know that it really works and helps one to prepare." "Really pleased. A lot of the questions I practiced in the system actually came up in my interview and I know answered really well. The feedback was that I answered clearly and confidently and I believe this was due to the training." InterviewGold is online and so easy to use. 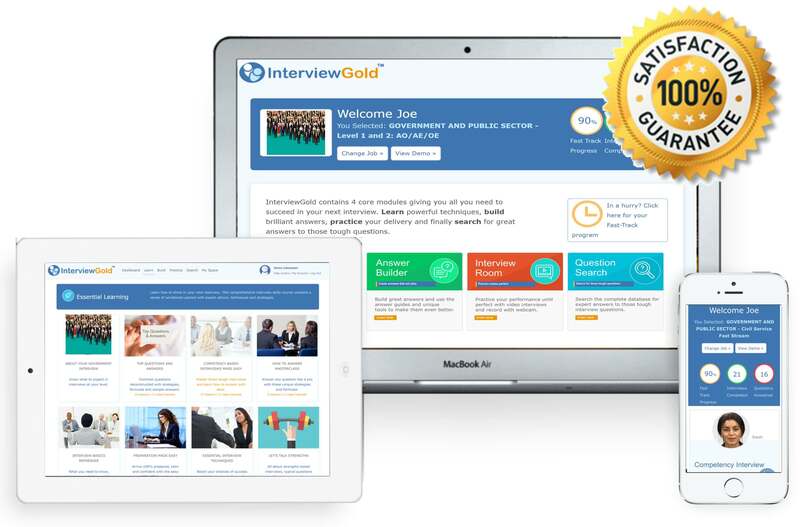 Bang up to date for 2019, InterviewGold gives you all you need for a brilliant interview in one easy to use online package.